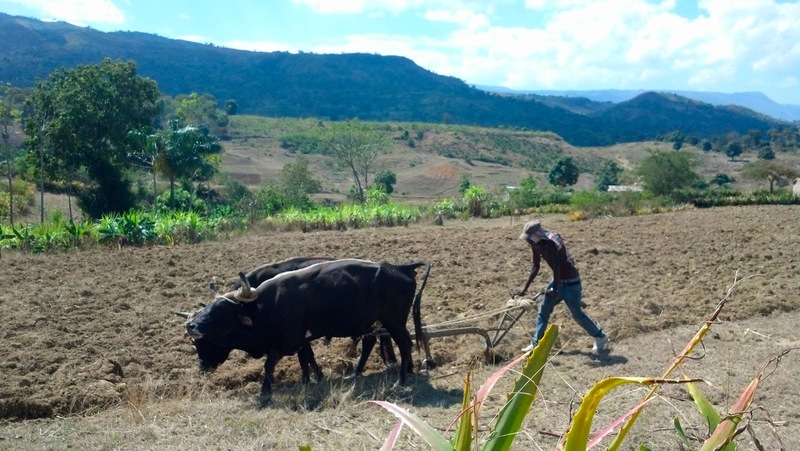 As Haiti lies directly in the Atlantic hurricane belt, seasons of torrential rain as well as significant dryness are not unusual obstacles for Haitian farmers. This year an abnormal number of extreme weather systems have delivered a severe blow to this agricultural-dependent region. Thomson Reuters Foundation reports, “The cumulative impact of last year’s drought and hurricanes Isaac and Sandy, combined with a prolonged drought in the first three months of this year has resulted in poor harvests and food shortages, weakening Haiti’s already fragile food supply. "The whole country has been affected”, shares Bekele Hankebo, FH Haiti Country Director. “We were supposed to get rain in March and the rains arrived in middle of May." Crops planted in March are gone. Farmers planted again mid-May but heavy rains washed them away. Food prices are already sky-rocketing as harvest projections plummet. Families who earlier this year received goats and rabbits from FH were able to move them out of flood areas and have kept them healthy. Selling these small animals is becoming a temporary solution for some farmers in the region as they can use the income to purchase food from neighbouring Dominican Republic where irrigation systems are much more advanced. Sustainable agricultural initiatives, such as irrigation systems and soil erosion techniques, are part of FH’s partner communities long term development plans. We will keep you updated on this current food shortage as well as plans for long-term water initiatives in the region.